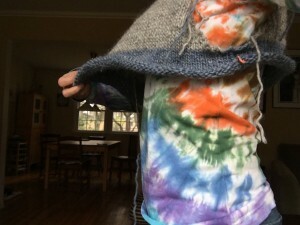 First things first » Blog Archive » Frogging my new project! ARGH! I feel your pain! 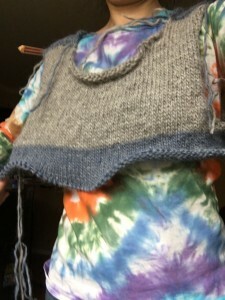 I, too, have a tendency to knit things too large—I have an extreme dislike for sweaters being too tight both across the bust and around the upper arms. It just makes months of kitting look BAD. But I’m finally learning that one of many great things about wool, especially lopi, is that you can block the living crap out of it. So lately, I’ve been a little better about knitting something to a smaller gauge, knowing that the blocking can help ease it out a little. But, yes, you need to be 100% satisfied with it! Marsha recently posted..Frogging my new project!